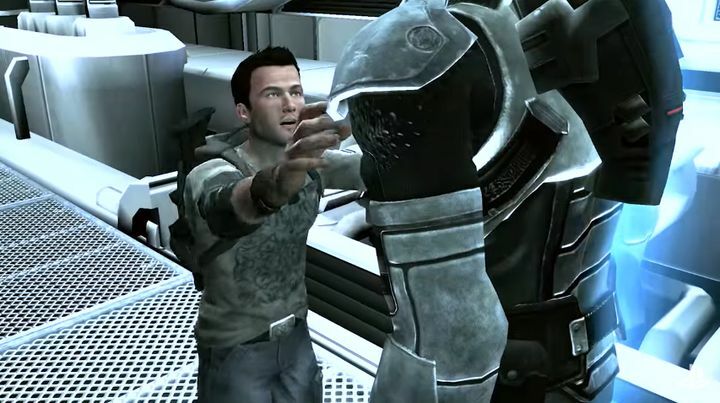 If one thing is clear, is that Shadow Complex is one of the most surprising video game hits to date. The action side-scrolling game by developer Chair Entertainment came out of the blue in 2009, but turned out to be one of the top console releases of the year, and one of the must-play games on the old Xbox 360 console. Because not only was Shadow Complex an action-packed game, Chair’s game also sported some of the finest visuals and graphic effects seen back in 2009 – not a small feat for a studio like Chair, which doesn’t have the means of industry giants like Ubisoft or Bethesda. And now it has been announced that a remastered edition of the game is coming to PC and PS4 on May 3 (see trailer above), this being the first time that Shadow Complex is available on a PlayStation console, as the game previously was an Xbox exclusive. And game creators Chair certainly are looking forward to the game’s next-gen debut, stating on the PlayStation Blog that “It’s been an amazing experience to watch fellow gamers embrace Shadow Complex with such enthusiasm” and that “Shadow Complex Remastered gives you all of the original game content, updated with graphical enhancements, and additional Master Challenges”. It is clear then, that Shadow Complex is a superb game, and probably caught the eye of renowned Star Wars director J.J. Abrams, as developer Chair is now working with Abrams’ Bad Robot company to create an original game titled “Spyjinx”. And no doubt this upcoming game sounds promising, but for the time being gamers who enjoy straightforward and action-packed games like Shadow Complex have that game’s remastered edition to look forward to this year. So it would certainly be a great thing if this new edition of the game lives up to the hype and delivers an experience as good as the original when it’s released this May. Note: Shadow Complex: Remastered will be released on May 3, 2016. Available on PS4 and PC.